Ready your taste buds as we are bound to experience Japan's best dishes in just a single place! 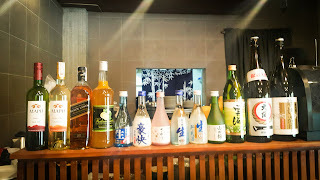 Let me tell you a secret, I know I place where you don't need to buy a plane ticket to taste an authentic Japanese meal. 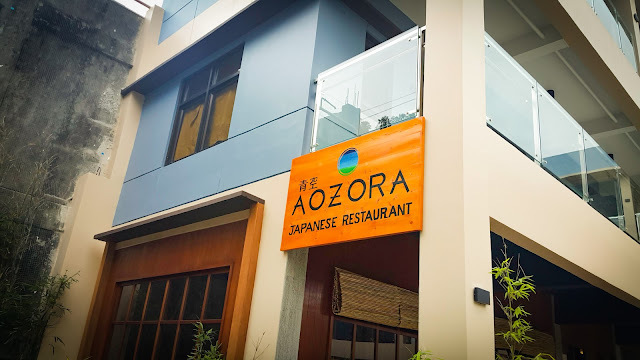 It's Aozora and it is just in the heart of Tagaytay! 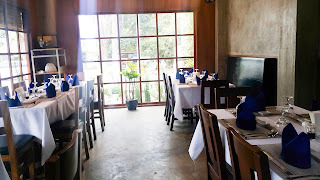 A bit of fine dining experience but still connects you with nature is their theme. 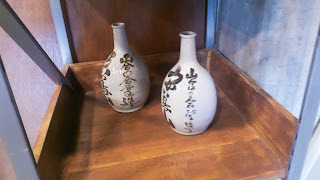 We all know how Japanese restaurants are famed for having simple interiors but world class decorations. 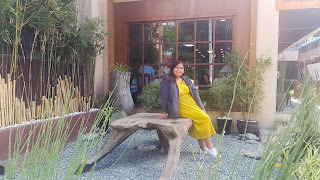 This place got that theme brought to Tagaytay for that enticing feel. 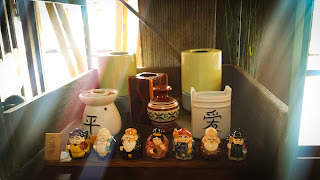 If you have been to Japanese restaurants before, you'll see cute dolls and lots of vases that you can commonly see in a restaurant and a traditional Japanese house. (Left) The entrance lets you take photos that would make others think that you are in Japan! (Right) You are free to see that the items they serve are fresh as the storage is displayed in front. 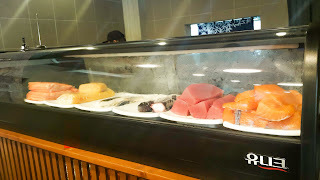 Their ingredients are mostly imported from Japan and other ingredients are delivered on a daily basis to maintain freshness. 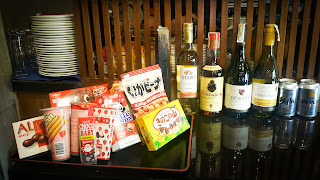 You can purchase snacks while waiting, they also serve local and imported Filipino and Japanese branded liquors. 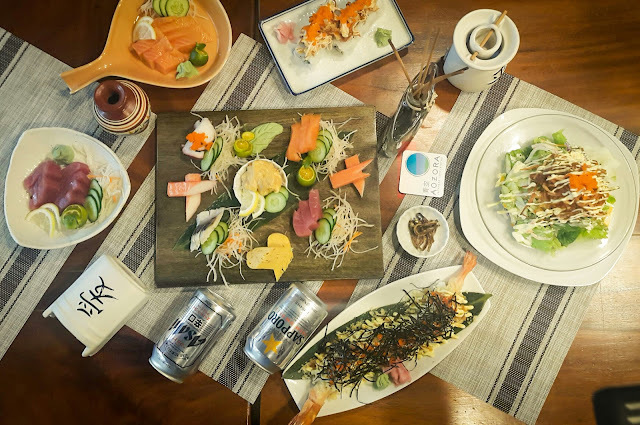 Here's a really nice flatlay of their famed Mixed Sashimi (P510.00), Salmon Sashimi, Tuna Sashimi, Kani Salad (P250.00), Dragon Maki (P350.00), California Maki (P250.00). It's all served fresh and even the sides are all good! 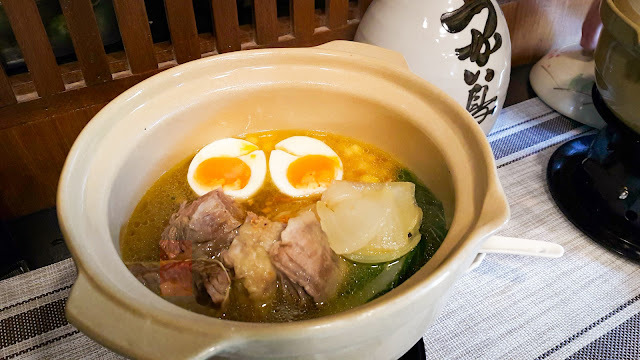 Their best sellingAozora Ramen (Bulalo inspired Ramen) only costs (P320.00). Can you imagine the goodness of Ramen and the famous Bulalo of Tagaytay together and boiled to perfection? 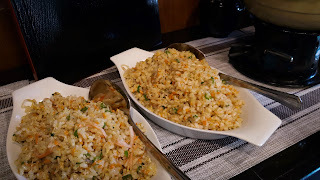 As for the rice meals, I suggest that you get Aozora Fried Rice (P250.00) good for 2 heads already if you would like to try numerous items. 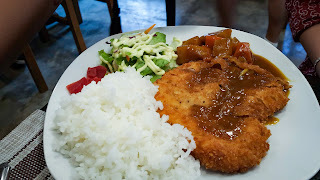 If you want separate meals, you can try their Chicken Karaage Curry (P290.00). 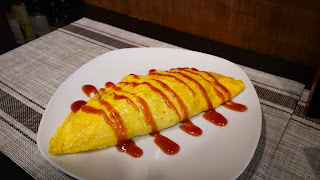 You may also opt to try this huge bento meal or Japanese Omellete Rice or popularly known as Omu Rice (P250.00). (1) You may also try dumplings/ gyoza, there are actually more gyoza than the one in the photo but my friends already ate them that it's only 2 when I took the photo. 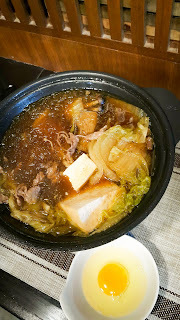 (2) Sukiyaki, is also one of the famous noodle dishes that they serve, it's a bit sweet which is perfect for Filipino tastebuds! 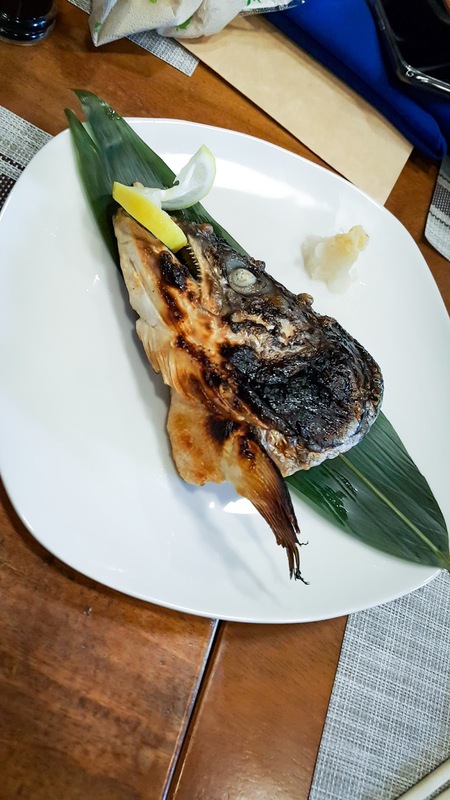 (3) Lastly, the grilled salmon head is perfect if you plan to drink with your friends! 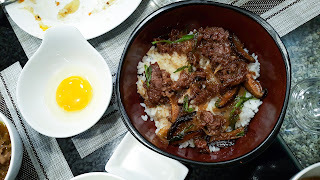 (1) Gyudon -- this is a rice meal topped with beef and egg must be mixed once served. 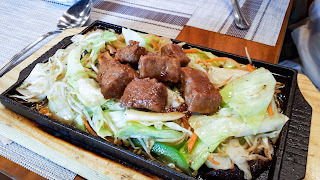 (2) I am not particular with the name of this dish but it was served with stir fried vegetables topped with beef. 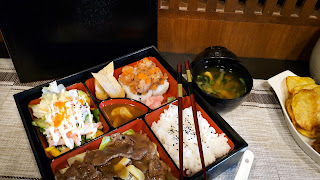 It's the same vegetables that has been served together with the bento. (1) Of course, let's not forget the fried ones! Here's mixed tempura which I think came in about 10 different vegetables and seafood cuts. I got the mushroom piece and I have to say that it tastes perfect. (2) The next one is fried chicken with potato chips. Crispy on the outside and its juicy inside. (3) Lastly, their matcha ice cream comes in two scoops and my friends who happened to love matcha as well can't get enough of it! 1. As I expected, the quality is superb though some might find it a little pricey most especially when it's your first time in a Japanese restaurant. 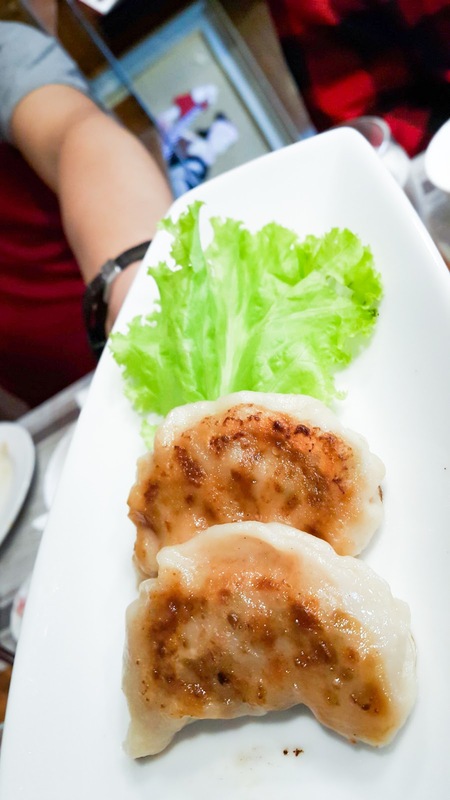 In fact, their prices are very much competitive in the market as their quality of dishes and taste is really nice. Not too expensive and not too cheap. 2. I suggest that you dine with a team so you can chip in and try different dishes! 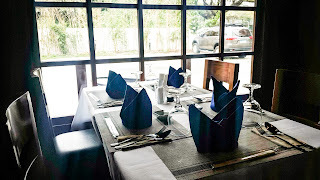 If you are coming between 1-3 people, it is suggested to bring about 500 each but if you are coming in huge groups, then it will eventually lower the costs. 3. 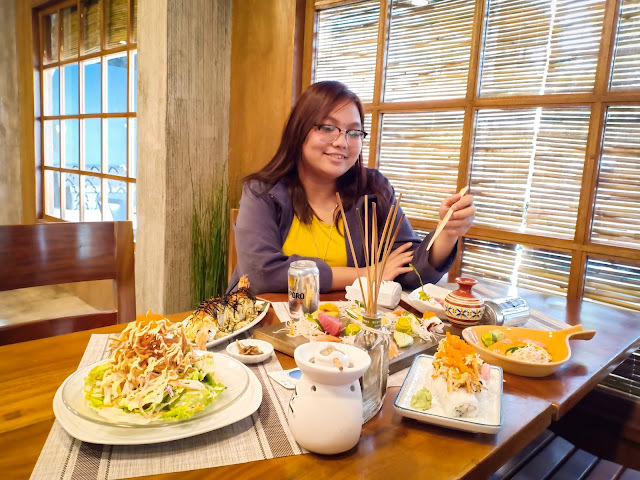 Favorites: You should never miss Bulalo Ramen, and sushi! 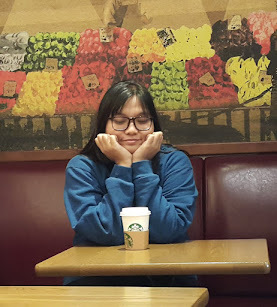 Ella is a Korean culture, lifestyle, food and travel blogger who loves to explore the hidden gems of the city and has devoted to make all weekends memorable by socializing with her friends. See you around! Perfume Dessert London + Giveaway!